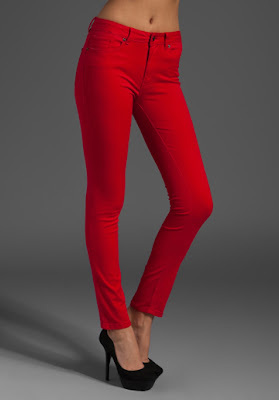 Denim is certainly red hot this season! 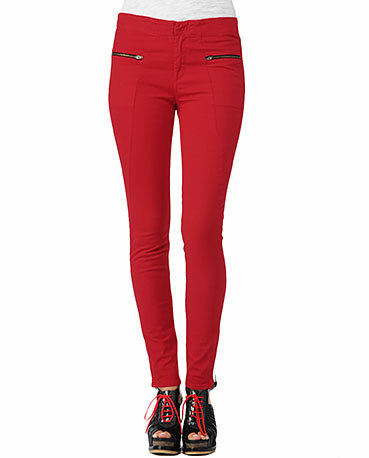 Celebs including Hayden Panettiere and Ashley Greene have been spotted wearing red denim while out and about. Check out some more takes on the trend after the jump. Faux front pockets and a chic ankle length give these a legging-like look. Cool zip-welt pockets at the hips make these feel totally rocker cool. 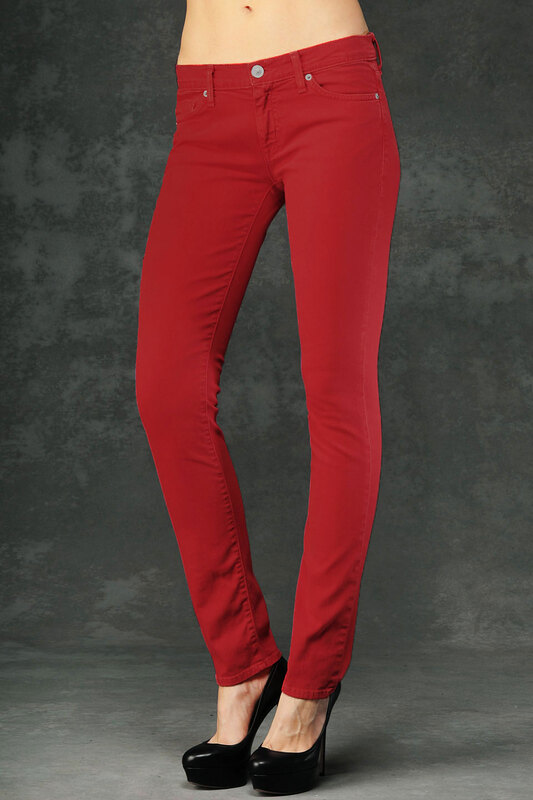 A faded hue and super skinny fit make these perfect with a blousy white top. The price point on these is so fantastic -- who could say no? This jean literally looks like it's been sprayed onto your body -- in the chicest, sexiest way. Silver hardware makes a bold statement against fiery red. The fire-engine-bright jean that started it all!